I love me a good zombie story!Especially one that is not about the stereotypical goofy-stupid kind of zombies. 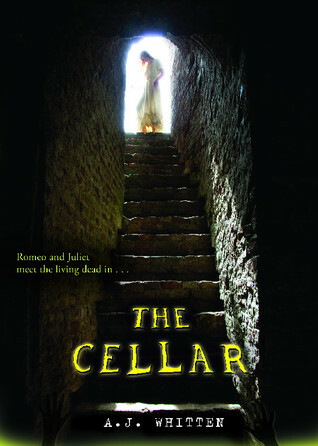 The Cellar was a book that started very strong but I am afraid had a somewhat disappointing second half. The writing was pretty good, very funny and witty.I admit it,the detailed and very gory descriptions gave me quite a scare when I was reading the book in the middle of the night.Regardless of that,though,first 200 pages went by without my even noticing it, it was that good! Then, the rest of the book happened.Which was not necessarily bad, but not what I was expecting, either.Even though the characters were mostly OK, likeable enough, there was definitely no lead you could connect with,even a little bit.You see, the narrative was divided into 3 POVs,that of Meredith, Heather and Adrien.Thing is,only Meredith's POV was in the 1st person and the other two were in the 3d.So inevitably, I found myself siding more with Meredith and less with her sister Heather.Now I know that that was there for a reason and to make a point but I found it a bit unfair because I believe that they both were right in their own way. Also,as much as I found Adrien beautifully disgusting, I felt that his romance with Heather was forced.At first I thought that what he was doing was for a specific purpose and he was just being his monstrous self and I would totally have loved it, if that was the case.Making him see Heather like something more than a prey, would also have been great if it had 200 pages more to develop.Unfortunately it didn't have, so it just wasn't believable enough. All in all, The Cellar is a book with a great potential,if you're into gore and living dead,which even though I liked a lot at the beginning, kinda fell flat for me right around the end. it's zombie related? i was waiting something more "monstery"....the summary is pretty creepy! i will have it in mind but i will wait for your full review as well.